Photos of the child covered by blood and dust were on the front pages of all world’s leading newspapers, the efforts of Western television companies (primarily CNN) were then referred to this picture by all those "hawks" who justified the need for missile strikes on the "bloody regime of Assad" and new sanctions against Russia. When Aleppo was completely liberated, it turned out that the story of the boy's wounding was another staging of the scandalous volunteer organization "White Helmets", funded by the governments of a number of Western states, and Omran’s family thanked Russia and Assad for liberation of the city from terrorists. 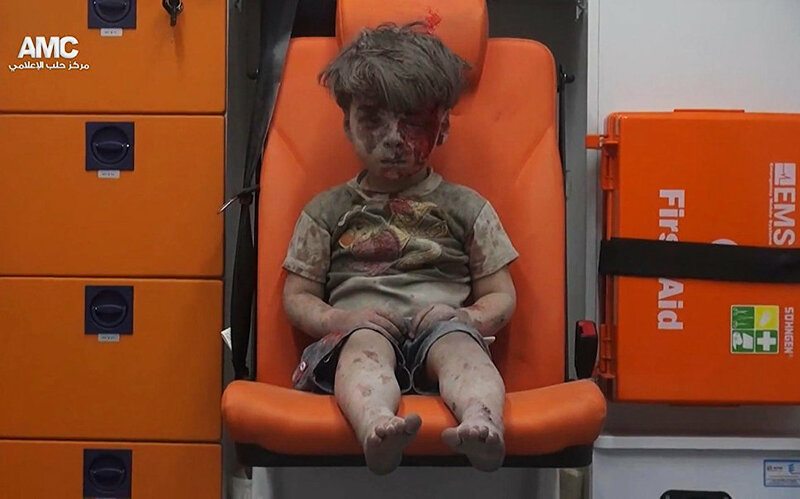 But many people who cried over the photo of the blood-covered boy did not even know about it - the very media that took out Omran's photo on the front pages, or reported that the family of the injured child confesses at gunpoints, or even chose not to say or write anything. But the truth finds its way out one way or another. Recently, a delegation of Christian preachers and activists who visited Syria to help local Christian communities returned to Britain. They also met Omran’s family and listened to their story. The other day, this mission, led by a member of the House of Lords, Baroness Cox and the priest of the Anglican Church, Andrew Ashdown, met with students from the London University of SOAS (School of Oriental and African Studies). This caused great resonance, and the British press could not pretend that it did not notice anything. However, it took the Times newspaper several days to publish the report, by itself, far from the front pages. The Anglican priest Ashdown told the students about Omran’s suffering. He was wounded in the head in the result of explosion and was bleeding. “White Helmets” representatives “put him in an ambulance and forced to sit there for 40 minutes while they were taking photos of him." «His father was furious, — claims the priest, — but he could not intervene because they („White Helmets” — edit.) were the militants». Baroness Cox known for her work in support of the Anglican Church, pointed out to the audience that the main sponsor of White Helmets is official London. "Your taxpayers’ money" she said, "go to the maintenance of groups that are surely related to jihadists." 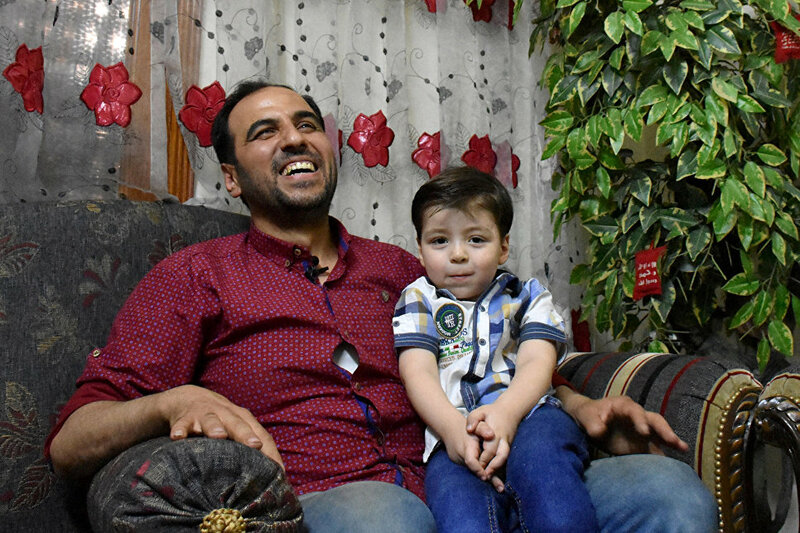 Russian audience know this, they saw interview with Omran’s family immediately after liberation of Aleppo. And for many Englishmen absorbing mainstream media news, this has become a real revelation. It would seem that the British media should ask the question: if the story of the "boy from Aleppo" was staged by “White Helmet” militants, then could the "gas attack" in the Syrian Douma also be a performance, as Moscow and Damascus repeatedly claimed? But this is too far to go for The Times and other Western media (many of them also chose not to "notice" Ashdown’s revelations). After all, then they will have to admit their own lies and the absolute groundlessness of missile strikes against Syria, which were vigorously supported by the British media. The scheme is simple: any unconfirmed rumor that accuses Moscow of some "atrocities" is carried out on the front page and shared literally everywhere. But when it comes to its exposure, the media prefer to ignore it. For example, in Kiev last week, a verdict was read in the defendant's case of an assassination attempt against militants Adam Osmayev and Amina Okueva, committed in June 2017. Then, and especially after the repeated assassination attempt on them, which led to Okeuva’s death the Western newspapers carried out reports on "Russia's involvement" on their front pages. Do you think anyone was interested in the statement of Ukrainian prosecutors that "the Russian trace" is not found? Nobody paid attention to it. Otherwise, I would have to admit my own lies and expose colorful stories about how Putin "created the metropolis of assassins" in Kiev. That's why they are trying to prohibit RT in the Western countries, so that the viewer does not come across information about Omran or assassination in Kiev. That is why Ashdown is being criticized, while all he’s trying to do is to convey the truth about the events in Syria.